Even though technically not a “son” of Port Elizabeth, having been born in Aberdeen in Scotland, John Paterson’s influence on Port Elizabeth was profound. 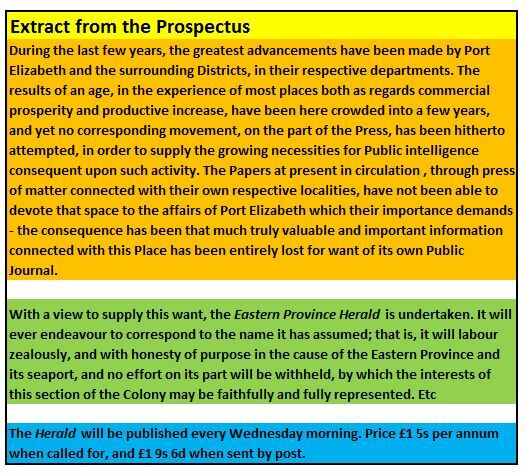 Amongst his numerous achievements was the establishment of the Eastern Province Herald, now called simply The Herald. What must John Paterson’s first impressions have been of Port Elizabeth when he and friend Joseph Reid first stepped off the schooner Louisa on 22nd June 1841 in Port Elizabeth? Instead of a disembarking in a harbour, the Louisa dropped anchor far out on the Bay. As the pair stood on the deck admiring the miles of sandy beaches to north and south and the huge sand dunes between a ravine and Cape Recife, they noticed a tiny surf boat from the P.E. Boating Company making its way out to their vessel. Presently the finely honed Mfengu surfboatmen, assisted them aboard. At the puny half-built jetty, the town’s first vain attempt at a proper harbour, they clambered out. What greeted them was not a smaller version of Cape Town but rather a sandy wind-blown town with the appearance of an unkempt sleeper wakening from a slumber. The High Street, the main street, did not deserve such a grandiloquent name. Instead it exposed open gulleys, cracks and pot holes, all designed to trip up the unwary while it was lined with an array of shops and hovels and goats and pigs roamed at will. Instead they headed south towards Scorey’s Hotel where the landlord, Captain Scorey, waited to welcome the strangers to the town. Paterson’s companion, Joseph Reid now took leave of him and proceeded onto Somerset East by the first wagon available. Famed for his kindly hospitality, Captain Evatt would undoubtedly have been among the first to call upon Paterson, followed by the Rev Adam Robson, his new boss. John Paterson only had three weeks in which to make his acquaintance with this scruffy town, seen all the sights from Fort Frederick perched on top of the ravine above the perennial Baakens River, the various churches and the Donkin Reserve, sacred to the memory of Lady Elizabeth Donkin. His first duty during his five year contract with the new Government school, was opening it. 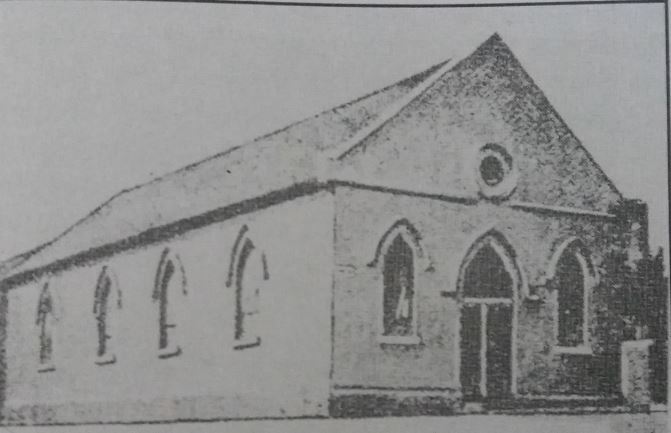 This was Port Elizabeth’s first senior school and it belonged to the London Missionary Society. Located behind the Union Chapel and rented to the government at £40 per annum, like most schools of that milieu, was for boys only. The basic objective of the school to make boys literate and numerate so that they were able to manage their daily lives. With these skills, the aim was to allow them to serve an apprenticeship. Further training would allow the boys at 14 to find a place in an office. If additional preparation was required for boys to enter the professions, this had to be done overseas. 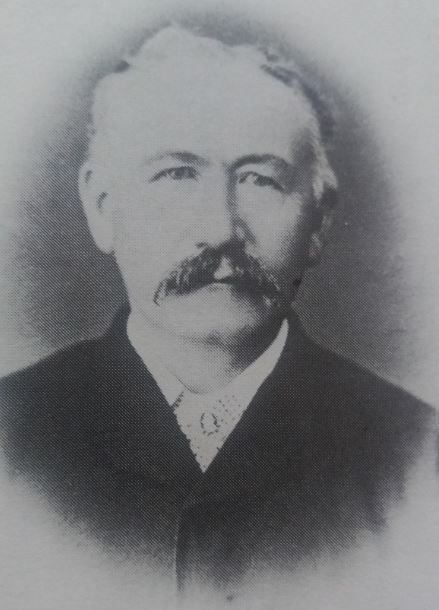 Sometime during those five years, John Paterson made his first plans for self-improvement and for the materialisation of his visions of a better Port Elizabeth. The first steps that Paterson took to actualise these yearnings was during 1845, a year prior to the completion of his contract. It was a scheme, carefully thought out, but veiled in secrecy because of the ramifications surrounding the activities of a Colonial servant. Paterson had maintained his friendship with the Philip family and John Ross Philip was, in early 1845, still a partner in the printing firm of Richert, Pike and Philip who printed the Commercial Advertiser and their office was in the same building as the Advertiser. While Paterson was sharing his surreptitious plans with Pike to launch a newspaper, Pike’s partner Richert died and Philip was forced to sell his shares to Pike. 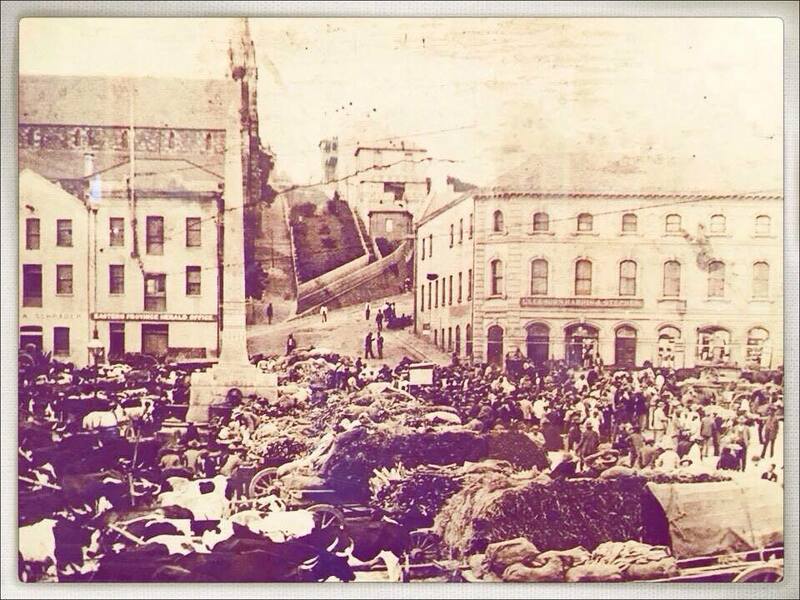 Furthermore, Paterson suggested that Philip should come and join him in Port Elizabeth in this new venture. Moreover, it would have to be implemented in Philip’s name until such time as Paterson could resign from the school. At the end of February 1845, John Ross Philip and his wife, Isobel who was pregnant, sailed aboard The Scientist for Algoa Bay. The month of May witnessed the birth of two things: the Herald on the 9th May and shortly thereafter Philip’s first child. The Prospectus of the Herald bore the signature of John Ross Philip, Proprietor, but the words bore the pen of his partner, John Paterson. Paterson, as Government school teacher, could not put his name to the venture. Presumably, Philip put some capital into the business and Pike, in Cape Town, was for sometime a sleeping partner as co-printer with Philip. He withdrew from the partnership in 1847 while Paterson wrote all editorials and was the moving spirit behind the scenes. Paterson confided in his friend William Philips at Hankey Mission news of the success of the Herald as follows: “The Herald, I may tell you, if going very well. Its circulation is weekly increasing. It is giving, as far as I can hear, the greatest satisfaction. No one suspects me of having any connection with it. Fairbairn gets the non-credit of the leading articles, and your father, having lately come among us [Dr Philip had retired to Hankey], is credited with the same. No one recognised the style, if there is any style in it; and the subjects are of so new a kind to me – breakwaters and Frontier disturbances – that I cannot recognise my own writing. In this manner the Herald was launched , and by the end of 1846, it was appearing every Saturday in a much larger size. When John Paterson took over the Herald, William Fleming and J.O. Smith each subscribed £150 for the required capital and Paterson himself raised £300. 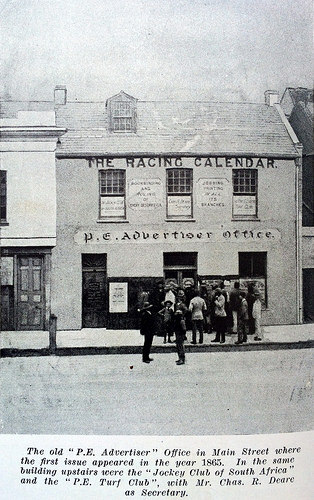 All went well with the Herald and the two partners, Paterson and Philip, until 7th May 1850 when Philip produced the first copy of a small sized newspaper, which he called the Mercury. Nonetheless, it would seem that Paterson offered no objection to this new venture since Philip continued to print the Herald. However, between the 7th May and the end of June, the two were involved in some form of fracas or disagreement, whereupon Philip informed Paterson that on the 9th July 1850, he intended to increase the size of the Mercury to the same size as the Herald. In a fit of pique, Paterson immediately ceased publication of the Herald with the last copy – Vol. 6 No 266 – appearing on the 30th June. Like many other friendships, they are shattered and do not survive when they involve business as well. 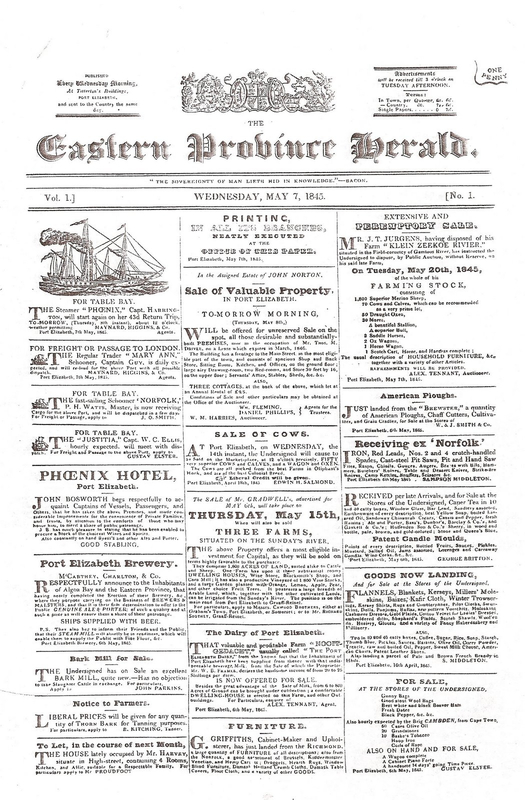 On 14th September 1850, using a new printing press imported from Britain and operating from new premises in Main Street, a new newspaper appeared on the streets of Port Elizabeth. With Paterson as Editor and Joseph Reid as Printer and Publisher, the E.P. News and Port Elizabeth Journal of Commerce was launched as Volume 1 No. 1. Paterson wrote: “We send it forth into the world “unheralded” by any previous note of praise. We leave it to be its own letter of recommendation to an intelligent and liberal public and to work its way by its merits.” Paterson’s reference to the word unheralded, is an obvious ploy for potential readers of his new newspaper to make a link to his previous endeavour. Perhaps Paterson was floating a trial balloon but the response from Adderley must surely have surprised him. Never one to let the grass grow under his feet, Paterson entered into another printing venture in 1852. In this case, he printed a long poem of 270 pages by M.B. 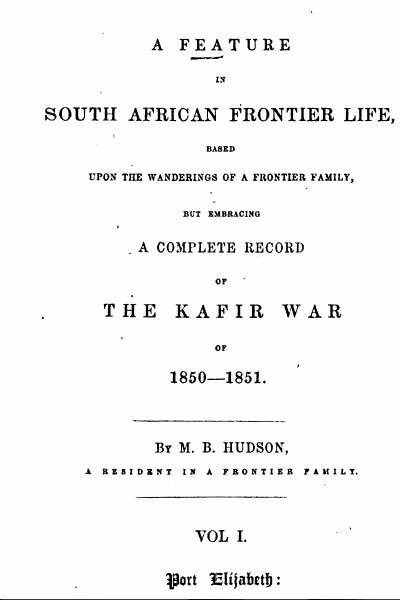 Hudson entitled A Feature in South African Frontier Life based upon the wanderings of a frontier family, but embracing a complete record of the Frontier War of 1850-51. This book is available as a free ebook. 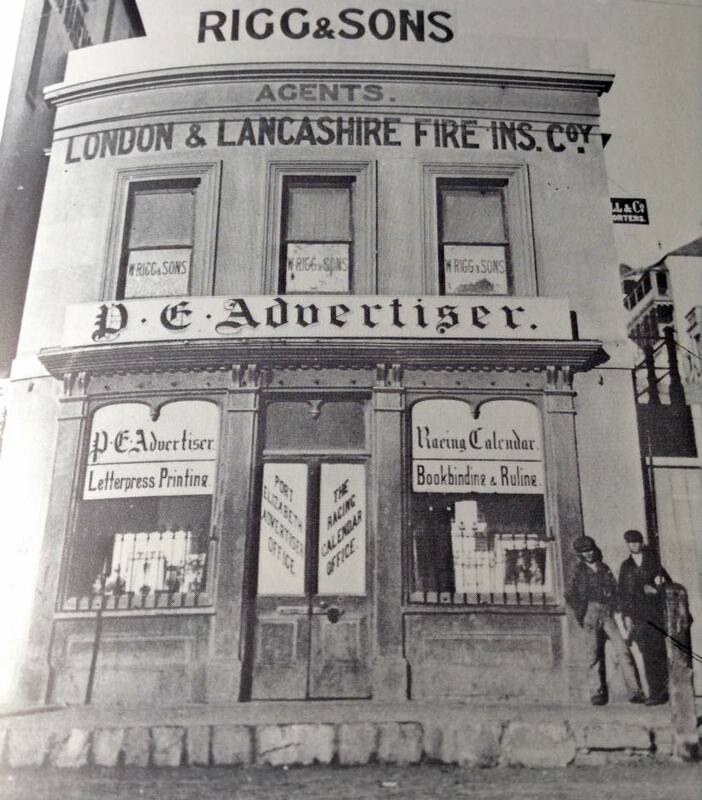 On 30th August 1851, Paterson became solely responsible for the newspaper being proprietor, editor, publisher and printer. That fit of pique would not merely have disenchanted Philip, but would also disqualify the Herald as the oldest continuously produced newspaper in South Africa. Not that such an accolade would have distressed Paterson yet today the Natal Witness can claim the distinction by virtue of its unbroken publication since February 1846. 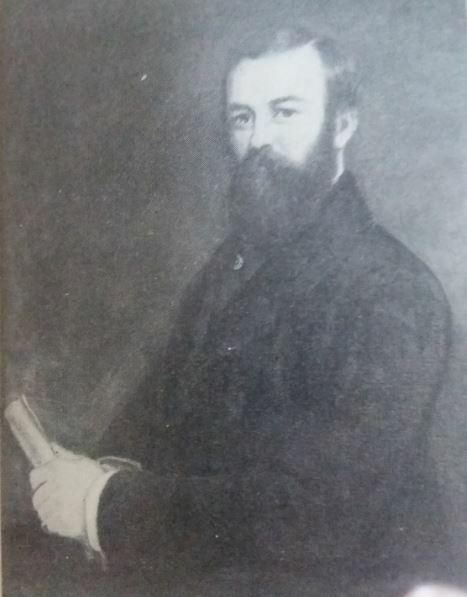 John Paterson continued to own and run the Herald and in 1852 he changed the publishing date to Tuesdays, with a second edition on Wednesdays for the Western Province. Due to the prolonged illness of his wife, he sold the Herald in 1857 to his friend, Mr. Godlonton, for £1,000. 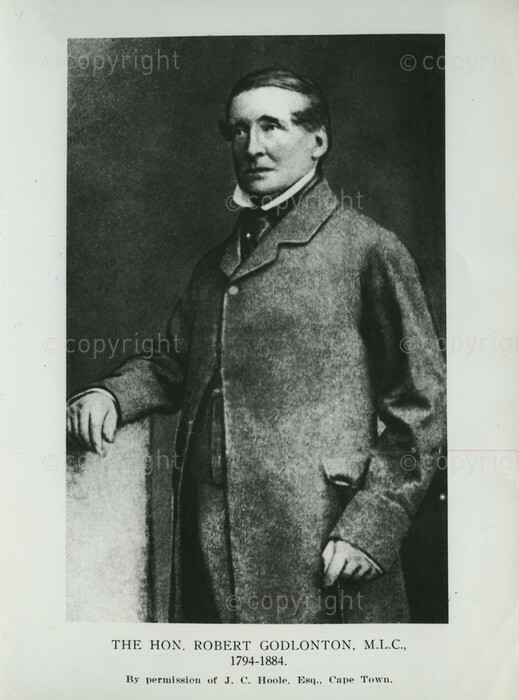 A partnership consisting of James Richards, George Impey Junior and Godlonton, White and Co was formed with the title of Richards, Impey and Co with the general management of the Herald devolving on George Impey, a godson of Godlonton. Paterson’s swan song appeared in the Herald of 6th October, 1857, but he still continued to write articles for it from time to time. From the first number of the Herald in 1845, Paterson had used it as a means of educating the residents in a sense of civic responsibility, and as unsigned editor during the first three years, he bombarded his readers with the need for new roads, an agricultural society, a better Post Office. A town census, street names, a survey of the town and for improved harbour conditions. Each leading article was a little gem of perfect English, a tribute to his classical education at the Aberdeen Grammar School, and perhaps his best editorial was on the characteristics and essential qualities of the Colonist, given in full below. On his untimely death due to drowning at the height of his career, somebody once stated of John Paterson that he did not require a statue as “Port Elizabeth was his monument.” Sadly this meant that man with a thousand visions both business and civic, was to pass away like a damp squib rather than a big bang. If, during a week of recreation from all public questions, we should make a tour of all the different sections of the world of men in search of what is styled a character, we should find him nowhere more certainly than in the colonist. No doubt he retains strong points of resemblance to the nation from which he is come, but he also possesses a distinguishing peculiarity. While in the mother country, the character has been so smoothed and defaced by the friction of circumstances as to have lost its edge. In the colonies, every line is distinct as if the character has just burst forth from nature’s mintage. If there has been wear and tear, it has been entirely restored by nature unoppressed. In life, the colonist lives in a separate current, flowing forth from and again retiring into himself. And it is this that he differs so widely from a subject in the Mother Country. The latter is but a portion of some particular circle. 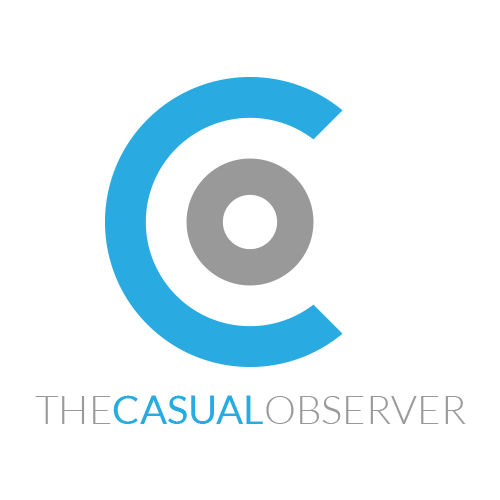 The colonist is a circle in himself. In the colony, a man moves alone. He conforms to no social structure, but on all sides is upright and free, resting in no support but his own. What is often called by travellers the effrontery of the colonist is nothing but the nobility of man restored. He has recovered his proper independence and erect position and is no longer content to slip through life like a footman or spy, avoiding by his nimbleness and apologies as many blows and buffets as he can. The colonist will enjoy an empire within himself. To his limbs, faculties and powers, he will allow no one to usurp any title. No. These colonists are very different men; each one more or less a study in himself and collectively a very imperial band. The Colonial Governor has a difficult task to learn; the mystery of the colonist. 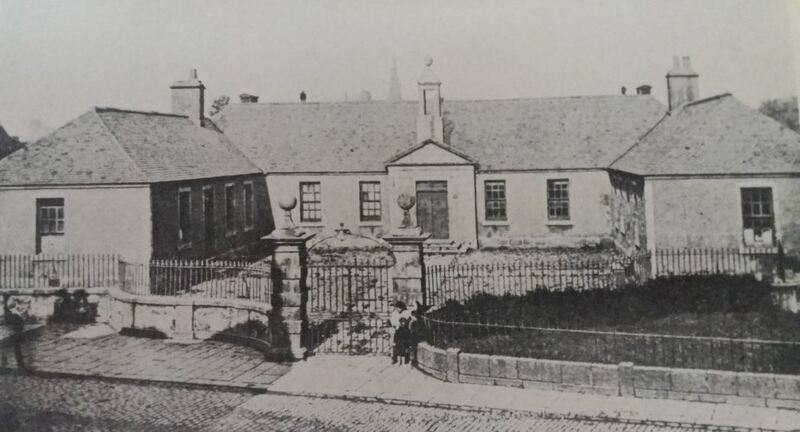 In 1861, the Herald’s offices were in the building on the south corner of White’s Road. In 1864 the offices were relocated to “Herald Chambers” which was later to become Cleghorn’s building, which had been built by Paterson. In 1882 the firm became Impey, Walton and Co. In 1894, Edgar Walton was on his own before taking N.E. Harris as his partner in 1895. 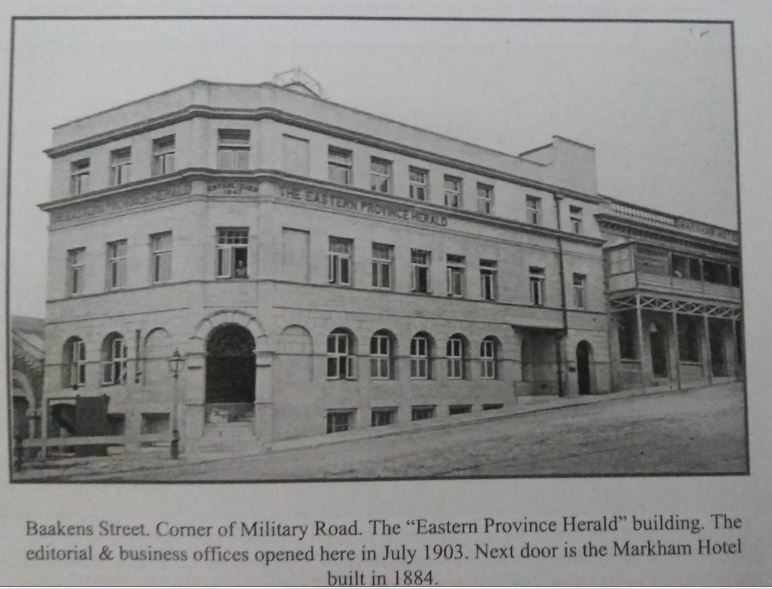 On the 31st January 1898, the Eastern Province Herald became a daily newspaper and on 25th April 1902, a fire started in the machine room and spread to the first floor, causing a great deal of damage. 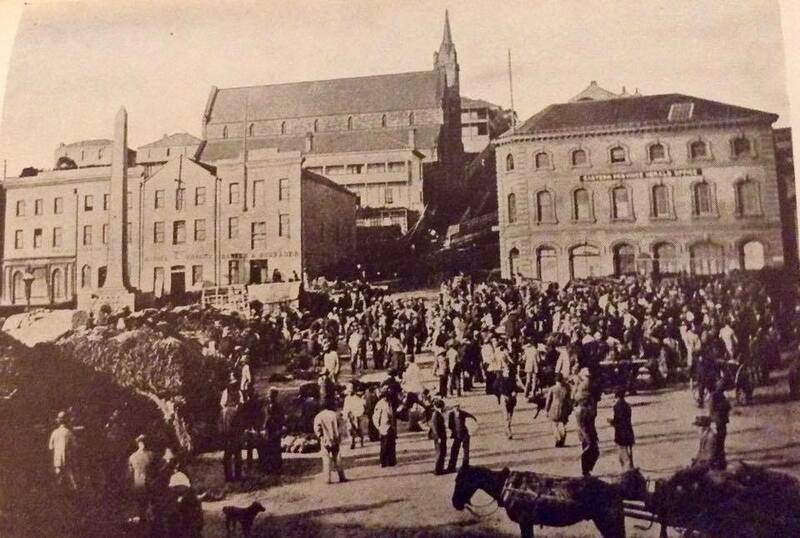 In July 1903, the firm moved into its new home at the corner of Military Road and Baakens Street and finally in 1952, it took over the present Times Media building on the adjoining site. Hi Dean The computer made a few typos with the spelling of Paterson’s name.Good article.